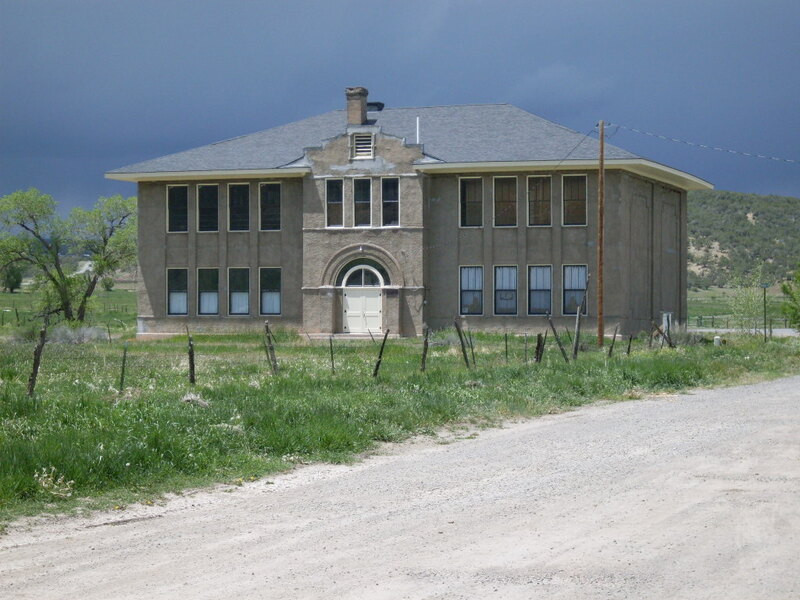 Designated a Local Landmark by Ouray County and listed on the State Register of Historic Properties, the Colona School is significant for its unique setting in the agrarian landscape, as well as for its role in the education and social history of the area. In addition to having served as a school, the space was used for community dances, receptions, plays, parties, recitals, events, and elections. No longer home to the chatter of students during the school term, the building continued to be used for community activities. The building has never been abandoned and has been used at least once a month since school closed. Unlike many school buildings, there has been no significant change to the outside or inside of the school. Blackboards remain in place, a painted stage curtain dating from the 1930s still hangs above the footlighted stage, old school books remain in the locked library cabinet, the calendar clock resides in the lunchroom, a wood stove remains in the kitchen portion of the lunchroom, a piano purchased for the school in 1915 and a second piano purchased later reside in a room, the bubble fountain stands in the hall, room colors remain the same and pictures used in classrooms still hang on the walls. Changes made after school closed amount to two restrooms installed by the entrance and sink installed in the kitchen. The wooden fire escapes and bell tower were removed due to safety issues caused by people that thought they were made to climb. The school bell was moved to the school basement for storage. 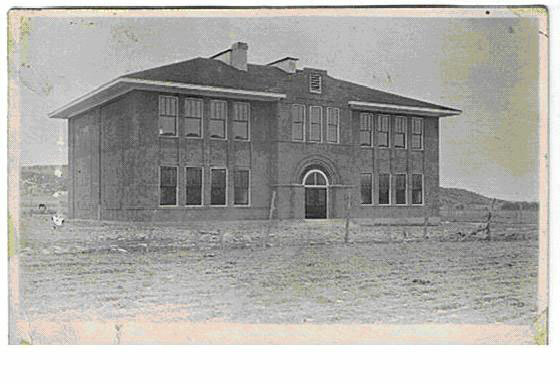 The two-story stucco Colona School was constructed in 1915 to keep resident children close once the consolidation of school districts in 1914 forced Colona grade-school students to travel five miles to attend school. On January 8, 1916, the Montrose Daily Press reported that more than 400 people came from two counties to dedicate the Colona School, which the paper touted as the “civic center of a thriving community” and “the finest school house for a town of this size in the state.” The school served as the area’s only high school from 1916-1928, and the only grade school from 1916-1948. A small but determined group, the Colona Grange, has organized to help save the school and received several grants for restoration from the State Historical Fund. Since its listing on the Most Endangered Places, the roof and windows have been replaced, soffits tightened, and a handicap ramp installed on the back of the building. Currently, the grange owns the building and receives income from the Ouray County Ranch Museum, which rents two rooms on the first floor. The remainder of the first floor can be rented for alcohol free meetings, family dinners, birthday parties, etc. The second phase of repairs to the building involves patching the stucco on the exterior and installing fire escapes on the second floor so the upper rooms may be rented for events. This important building will be celebrating its centennial year in 2016.